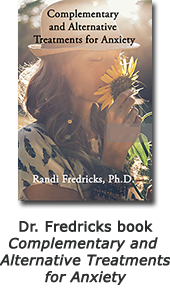 My name is Dr. Randi Fredricks, Ph.D. and I specialize in helping people with addiction and codependency with addiction counseling and natural medicine. Since 1991, I have been a published researcher and author on pioneering studies and books about addiction, relationships, and communication. As a San Jose psychotherapist and owner of San Jose Psychotherapy and Counseling. I have worked extensively with addiction and codependency. With my unique qualifications, I address the needs of those who continually struggle with chronic relapse behaviors, substance abuse disorders, process addictions, compulsive behaviors, mental health issues, codependency, and trauma related issues. My holistic addiction counseling is also useful for those who need a continuum of care beyond traditional outpatient treatment, self-help groups, and 12-step programs. In my practice, I use a therapeutic approach that is exceptionally powerful. Some of my clients have experienced remarkable results in as little as one session. How can this happen? I combine an unusually effective combination of methods known for producing rapid and significant change. As a psychotherapist and addictions counselor, I bring to therapy the skills I acquired while studying for a Masters and Ph.D. in Psychology. My book Healing & Wholeness: Complementary and Alternative Therapies for Mental Health examines thousands of studies that have demonstrated the superior level of healing that is possible when mental health is addressed from a mind-body-spirit perspective. Abraham Maslow said, “If you only have a hammer, you tend to see every problem as a nail.” Similarly, a therapist or addictions counselor who knows only psychology or addiction has just one type of tool in their toolbox. Because of this, traditional therapists tend to see emotional or psychiatric problems as rooted in a client’s psychological make-up. Additionally, addictions counselors typically view addiction from a substance abuse perspective. In reality, we are a combination of mind, body, and spirit, and a purely psychological approach to psychotherapy and addictions counseling only addresses one aspect of who we are. To compound matters, licensed therapists, social workers, and even psychologists receive an extremely limited amount of education in the area of addiction, usually only one course in school. Conversely, the typical addiction counselor has little or no training in any mental health other than substance abuse. This is concerning because upwards 53% of people suffering from an addiction have at least one serious mental illness, such as anxiety or depression. Are you looking for help but want more than talk therapy? 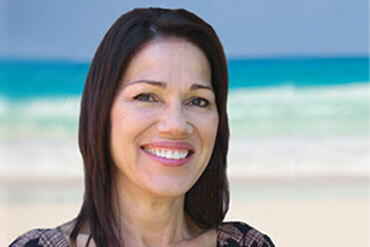 Using a powerful blend of traditional and holistic therapies, I work with your natural healing abilities to release unwanted patterns and beliefs and unresolved feelings. I believe that each of us has an innate ability to heal, but at times we feel stuck, impacting our relationships and sense of well-being. Whether I am doing couples, family, or individual therapy, I draw from a wide array of therapeutic approaches that have been proven effective in scientific studies. 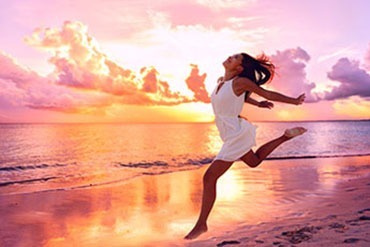 As you look through my site, I hope to answer some of your questions and increase your knowledge about how I combine psychotherapy and natural medicine in the treatment of addiction and codependency. If you would like to learn more about my practice located in San Jose, California. please visit http://drrandifredricks.com.